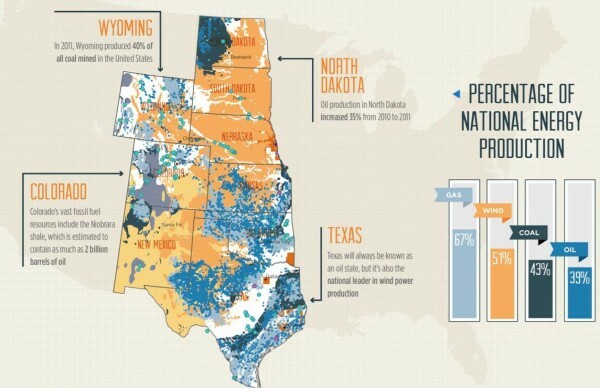 The Western Governors’ Association (WGA) calls the West the nation’s “energy breadbasket,” owing to the region’s vast and diverse energy resources. 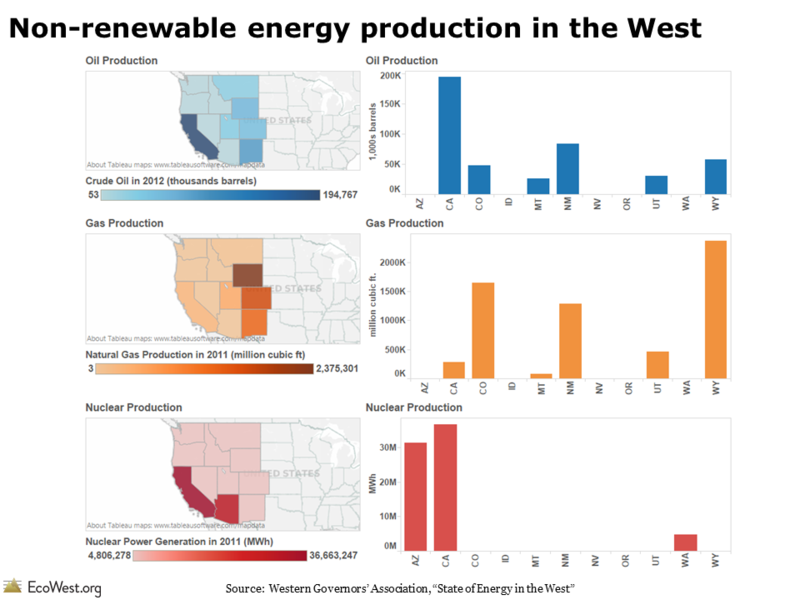 In its most recent report, “The State of Energy in the West,” the WGA provides a comprehensive survey of conventional and renewable energy as part of its year-long focus on energy. 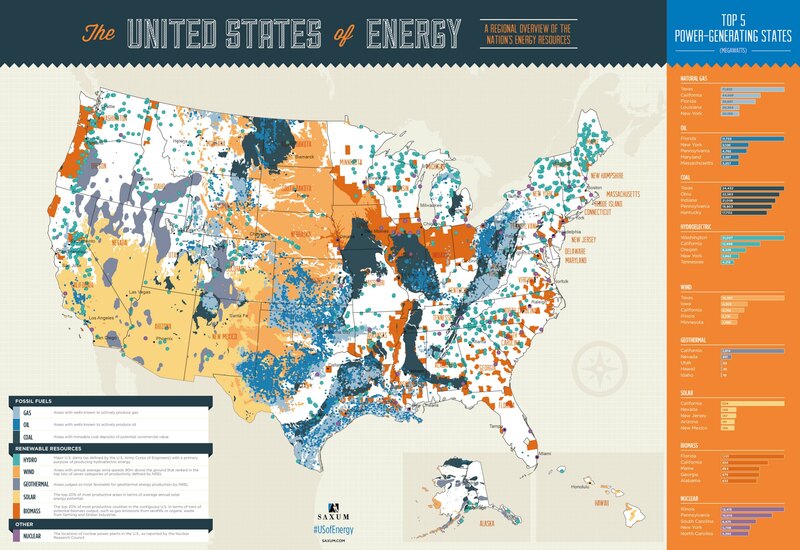 Energy breadbasket of the U.S. The West delivers nearly two-thirds of the nation’s wind energy. California is the national leader in solar energy production, its output nearly triple that of the next highest-producing state (Arizona). 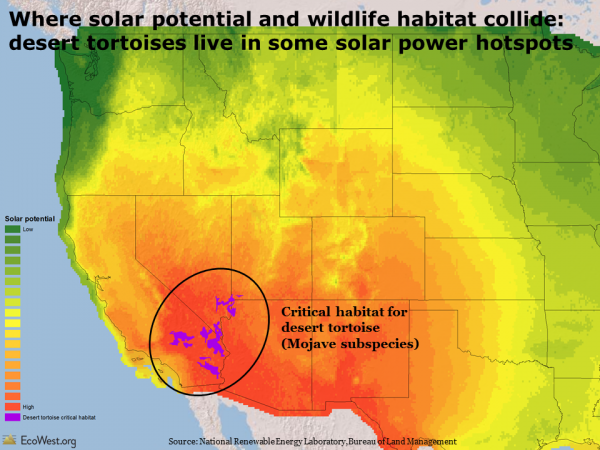 Solar energy potential in the Southwest also ranks among the highest in the world. 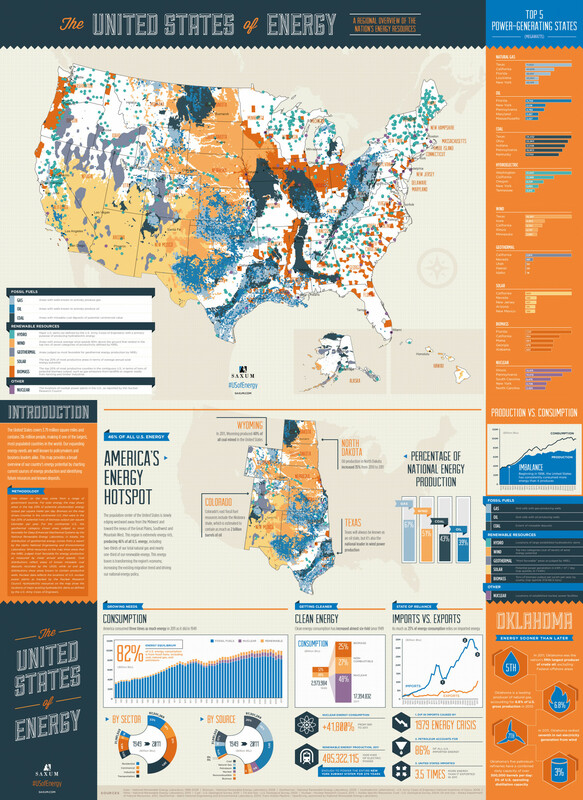 Nearly all of the country’s geothermal resources are located in the West, home to 99.5% of installed national capacity in 2011. In recent years, the West has accounted for close to 70% of the country’s natural gas and petroleum production. Coal production in the West contributes 60% of the national total. 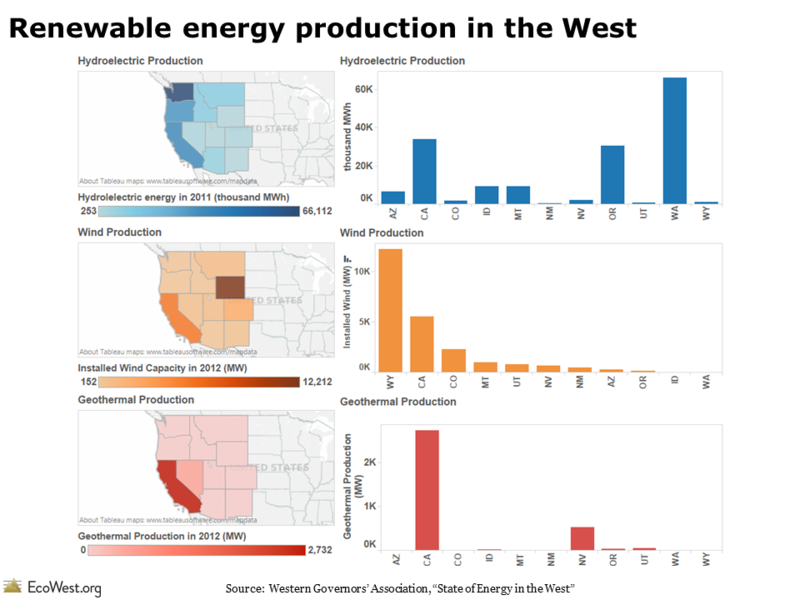 Below is a screenshot (click to enlarge) from our dashboard illustrating energy production in the West, based on 2012 figures. 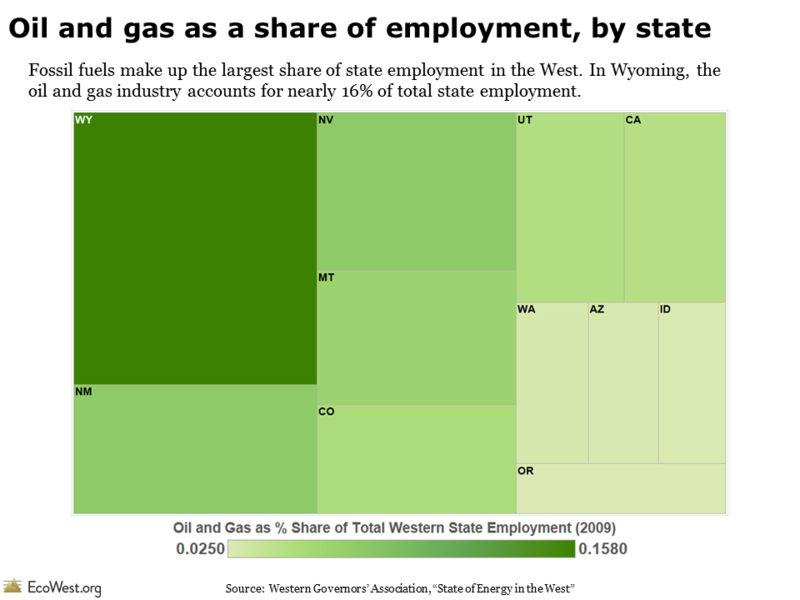 Fossil fuels currently make up the largest share of state-level employment in the West’s energy sector. In 2009, the oil and gas industry accounted for more than 5% of total employment in Alaska, Colorado, Montana, New Mexico, and Wyoming. The coal industry in Wyoming is responsible for 14.2% of the state’s GDP and 8% of its work force in 2010. The state’s total coal output exceeds Russia’s. Besides generating jobs, the fossil fuel industry also contributes to the region’s economy through severance taxes, which are applied to the extraction of some non-renewable resources. Five states in the West–Alaska, Colorado, Montana, New Mexico, and Wyoming–have a severance tax endowment, which provides a revenue stream in perpetuity. Among all state-level severance taxes collected across the nation in 2011, roughly 85 % were in the West. The growing renewable energy industry is also spurring job growth in the region. The wind industry alone has added 30,000 jobs throughout the West and generated over $290 million in property tax revenues. 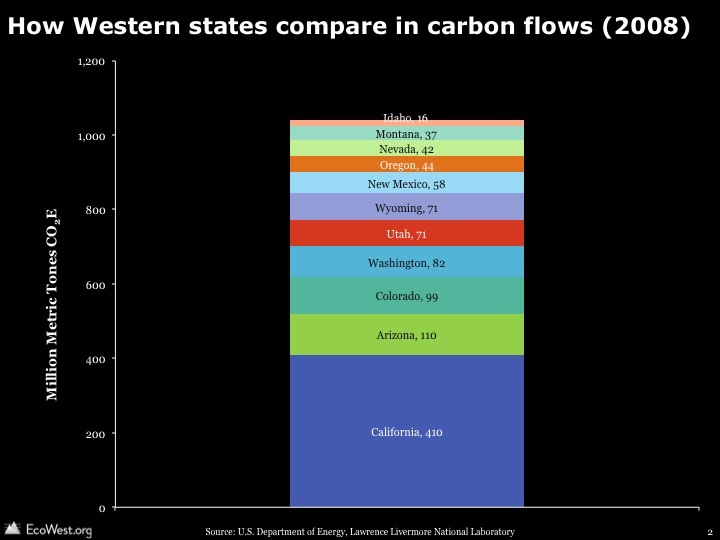 The West’s abundant energy resources play a pivotal role in both the regional and national economy, but energy development also carries environmental costs. Researchers have cautioned that energy sprawl can threaten the habitats of iconic western species, such as the sage grouse and pronghorn. The graphic below, from our land deck, shows the intersection of desert tortoise critical habitat and solar power potential. As part of its 10-Year Energy Vision, the WGA is working to achieve a balance between responsible energy development and wildlife conservation by engaging in more proactive planning with various stakeholders. The WGA’s State of the Energy report provides an accessible primer on energy resources in the West, in addition to reviewing topics such as energy efficiency, alternative vehicles/fuels, electricity transmission, and technology development in the sector. Given that the West provides a majority of the nation’s energy supply, the report should be useful for policymakers and residents living in and outside the West. The Western Governors’ Association, a non-partisan organization of 22 U.S. governors, represents 19 U.S. states and 3 U.S. territories. 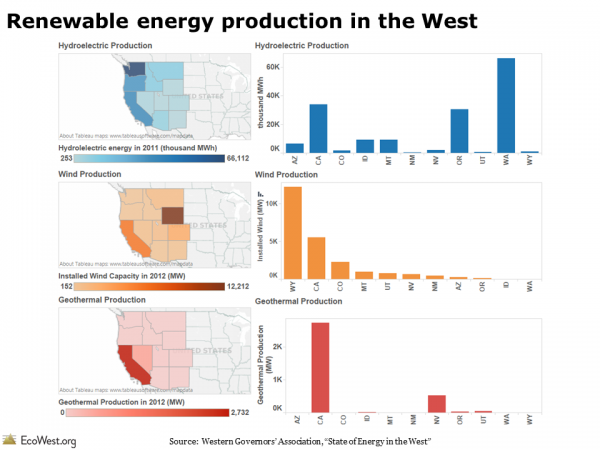 EcoWest typically defines the region as the 11 contiguous Western states, but “The State of Energy in the West” takes a broader view.